Reviews of books that I have read along with discussions, commentaries, book lists, and just general thoughts on books and reading. Joy Little's life is changing. Her only child has just left for college, but instead of going with him on dorm move-in weekend, she is headed to her childhood home, Little Island, to attend her grandmother's memorial service. Although she loved her grandmother, spending the weekend on the Island with her parents and her twin siblings, Roger and Tamar, is not something she is looking forward to. Given their family history, family get-togethers for the Little family are tumultuous at best and Joy just does not know if she is up for the challenge. 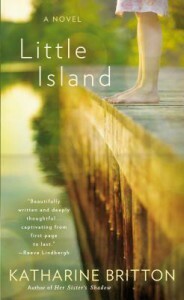 Although basically Contemporary Fiction, Little Island falls into a class of books that I call "family drama" books. 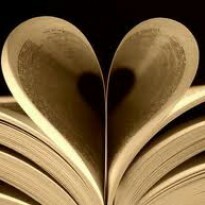 You know the type, books where we get a glimpse of a family that is struggling due to a past or present crisis. For me, enjoyment of books of this type hinge two things; how well the author handles the family's various crises, and how the author builds the characters and their relationships. I am happy to say, Katharine Britton did a great job of both in this book. The characters in this book spoke to me right off the bat. The oldest sister, Joy, is going through empty nest syndrome, exhibiting feelings I am very familiar with since I have two sons in college. As the oldest sibling, then as a mom, her whole life has been about taking care of people. What is she supposed to do now? On the flip side, her sister Tamar is the youngest, and the one they "almost lost". As such, the other family members have danced around her all of her life. Now she finds herself as a wife and the mother of twins with no idea how to put anyone else first. Finally there is Roger, the one that was always in trouble, the cause of the families biggest crisis, a crisis that still defines them, and the one thing that has always defined his life. I though that the author did a wonderful job of developing these and other characters in the book, giving them the right mix of traits to allow me to empathize with them at times, and want to smack them at others., but always hoping they were able to break past the roles that defined them. Thus it was the characters in the book, especially the Little siblings, which allowed a predictable story line to become unpredictable. Another thing that I liked about the book was the way the author told the family's story. While the bulk of the story took place during the weekend of the memorial service, part of it flashed back to 20 years prior, the time surrounding the crisis that defined the family. In addition, different chapters focused on the thoughts and feelings of different family members, giving each of them a chance to "tell their side of the story" so to speak. It was a method of telling the story that really worked for me. Almost exactly two years ago, I read Katharine Britton's first book, Her Sister's Shadow, which I also rated 4 stars. As with that book, I enjoyed this book's interplay between the family members. What set this book apart and elevated it to that next level, for me, were the characters. I am glad to see that Katharine Britton has not lost her touch with story telling, and that her characters have even more personality than before. I would highly recommend this book to those who like books centered around families and drama. Many thanks to Katharine Britton and The Sisterhood of the Traveling Book for allowing me to read this book in exchange for a review.